We have many laafa summer classes with descriptions on http://ping.fm/alb2b – pre-enrollment is open. Offering new student discount! 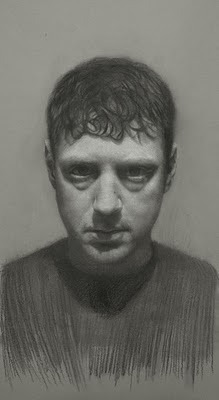 David Kassan’s Drawing Workshop June 11th-13th at LAAFA. If you are interested in taking this workshop, you must call to register or email contactus@laafa.org. Call 818.708.9232. The focus of this course will be on life drawing methods to investigate the underlying rhythm, expression and emotion of the modern portrait. We will explore charcoal on toned paper with one pose for the entire time so that we can patiently observe and record our findings. All observation will be cumulative and used towards finishing the final work. Instruction will include discussion of practical technical information on the use of charcoal and white chalk, the properties of light on form and how the topography/depth of the face’s form can be visualized and represented. Most importantly, students will learn to transcend the materials so that their full concentration is placed on expressing the model’s presence and emotion. My goal is to give this class a sense of community, where anything art related can be discussed (books, galleries, artists, techniques), debated, enlightened and experienced. Celebrate Mother’s Day and celebrate Marshall Vandruff’s Anatomy for the Artist Crash-Course! Mothers love their children. They want them to succeed. They want them to become doctors. But it seldom happens. Too often, they become artists. Here’s a way to make it up to her. Sign up for Marshall Vandruff’s Anatomy for Artists Crash-Course. At gatherings, when people ask her what you’re studying, she can say “anatomy” and she’ll gain social points as long as she doesn’t say anything else. Mothers also want their children to save money. Medical school costs about $200,000. 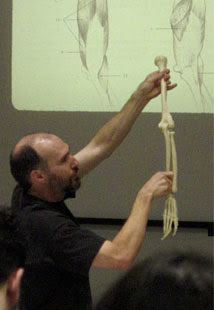 This anatomy course costs $300, which is almost free. If you register by May 15, it’s $260, which is like getting paid to take it. Sign up before May 15 and make your mother happy. June 2-4, 7, 9-11 at the Brea Civic & Cultural Center. All evening sessions, 6-10 pm. Go read all that info at http://marshallart.com/anatomy Or register at http://marshallart.com/reg where there’s a downloadable flyer for you to print for Mother’s day in case she’ll pay your way. https://laafa.edu/wp-content/uploads/2017/05/NewLogo52217-300x138.png 0 0 Holly https://laafa.edu/wp-content/uploads/2017/05/NewLogo52217-300x138.png Holly2010-05-07 21:49:002010-05-07 21:49:00Celebrate Mother's Day and celebrate Marshall Vandruff's Anatomy for the Artist Crash-Course!